The benchmark dose (BMD) approach for the exposure limit in the risk assessment of cancer and non-cancer endpoints is well established; it is often based on dose–response modeling of the most critical or the most sensitive outcome. 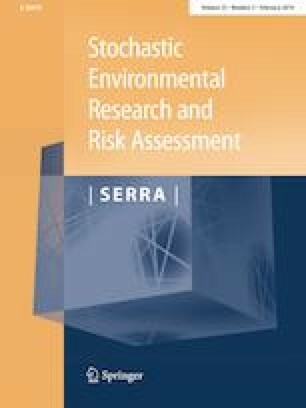 However, neither the most critical endpoint nor the most sensitive endpoint may necessarily be representative of the overall toxic effects. To have a whole picture, it is preferable to express responses for different endpoints with equivalent severity levels and integrate them into one analysis framework. In this paper, we derive BMD in the case of multivariate ordered categorical responses such as none, mild, adverse, and severe based on structural equation models (SEMs). First, for each of the ordered categorical responses, we obtain a latent continuous variable based on fictitious cutoffs of a standard normal distribution. Second, we use SEMs to integrate the multiple continuous variables into a single latent continuous variable and derive the corresponding BMD. We employed a Bayesian statistical approach using Markov chain Monte Carlo simulations to obtain the parameter estimates of the latent variables, SEMs, and the corresponding BMD. We illustrate the proposed procedure by simulation studies and analysis of an experimental study of acrylamide exposure in mice with multivariate endpoints of different severity levels. The online version of this article ( https://doi.org/10.1007/s00477-018-1580-7) contains supplementary material, which is available to authorized users. This research was funded by the Grants MOST 103-2118-M-400-002 from the Ministry of Science and Technology and PH-106-PP-09 from National Health Research Institutes. The authors declare they have no actual or potential competing financial interests.